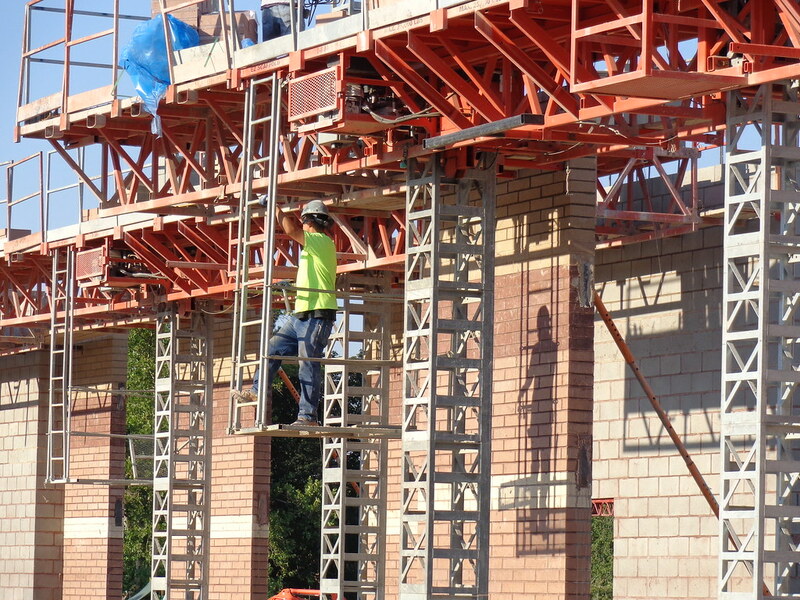 Construction crews are busy working on projects throughout the District, and one more elementary school will soon be joining the list. The Canyons Board of Education voted unanimously on July 17 to begin rebuilding Midvalley Elementary as the first of three elementary schools in the District to be rebuilt. NJRA Architects will be designing the new building, and construction is anticipated to begin in April, 2019. The new school is expected to open for the 2020-2021 school year. As part of a $283 million bond approved by voters in 2017, three elementary schools in Canyons district will be rebuilt and a new elementary school in west Draper will be built. Peruvian Park and a White City school will also be rebuilt. Canyons’ administration proposed choosing Midvalley as the first project because it is the oldest of the three buildings, has ADA issues, needs roof repairs, and will be the easiest to build onsite while students are in school during the 2019-2020 school year. Also, it can help absorb growth in west Midvale. Midvalley originally opened in 1957. According to industry standards, an assessment of the school shows that the cost to repair the building exceeds 68 percent of the cost to replace the building. 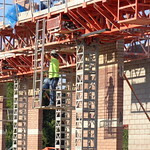 The new school will be built onsite while students continue to attend the old school. More than 200 teachers, parents and dignitaries attended a groundbreaking ceremony for the new Alta View Elementary under a stellar blue sky Tuesday, April 19 — but the real VIPs of the event were Alta View’s many students who came to celebrate the start of work on their new building. Senate President Wayne Niederhauser; Rep. LaVar Christensen, R-Draper; members of the White City Township Community Council Kay Dickerson, Paulina Flint and Linda Price; Canyons Board of Education President Sherril Taylor and members Steve Wrigley, Nancy Tingey, Amber Shill; District administrators, school administrators, teachers and parents and neighbors all attended the celebration of beginning construction on the long-awaited building. According to plans, the new Alta View will be built east of the existing school. Children will attend class in the old facility while the new one is being constructed. Features of the new Alta View include a security vestibule that will require all visitors to be seen by school staff before entering the building. Plans also call for a large commons area filled with natural light and a grand staircase leading to the second-floor classrooms, the media center, an activity room and a computer lab. 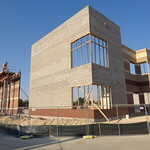 On the main floor, classrooms will be flanked by a multipurpose room and the kitchen and cafeteria. In addition, state-of-the-art mechanical and electrical systems, including voice-amplification equipment for teachers, will be used in learning spaces throughout the building. 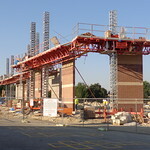 The project is being completed thanks to a $250 million, tax-rate-neutral bond approved by voters in 2010. In the past six years, the District has been able to successfully complete a healthy spate of new-school and renovation projects, including seismic retrofitting at Sandy Elementary, the new Midvale Elementary, Corner Canyon High, a renovation of Albion Middle, the new Butler Middle, the new Draper Park Middle, additions at Brighton and Hillcrest high schools, and the new Mount Jordan Middle. Work on the projects promised to the CSD community at the time of the bond’s passage will continue for the next several years. A new Butler Elementary will open this fall, crews are hard at work on a new Midvale Middle and the design process is underway for a remodel of Indian Hills. The Board of Education on Tuesday, April 12 approved a contract with FFKR to work on the remodel of the Sandy middle school — the final project expected to be completed with funds from the 2010 bond measure. Architects working to design the new Alta View Elementary have presented their concepts to the Canyons Board of Education. Representatives of Naylor Wentworth Lund Architects presented their concepts in a Board of Education meeting Sept. 1, 2015. The full presentation can be found on BoardDocs. Alta View Elementary will be rebuilt on the school’s current campus, where the playground now is situated. 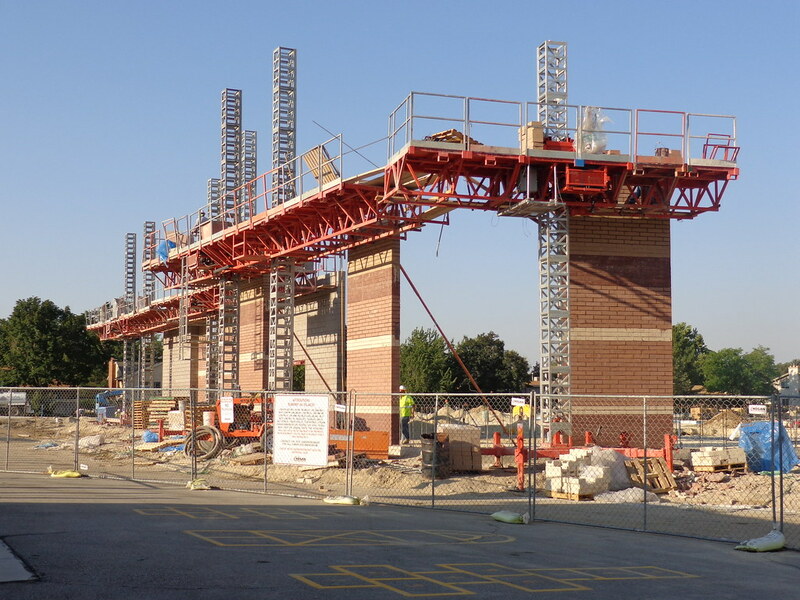 The site already has been prepared to allow for continued student learning and safety during construction, with drop-off and playground fencing adjustments in place for the start of the 2015-2016 academic year. Alta View remains in the design process. Meetings were held last spring with the Alta View community and faculty regarding the new school’s design, and initial concepts were displayed at the school last spring. Alta View Principal Karen Medlin said the concepts have received positive feedback from the community. The new school not only will optimize learning conditions to help students prepare for college and careers, but provide for improved community access via parking and traffic flow, and serve as a community gathering space. The Board voted in October 2014 to select Alta View Elementary as the White City school to rebuild with proceeds from the $250 million bond voters approved in June 2010. The action followed months of public input. Groundbreaking on the new school is scheduled for spring 2016. The new school is scheduled to open in fall 2017. Butler Elementary is on the rise. 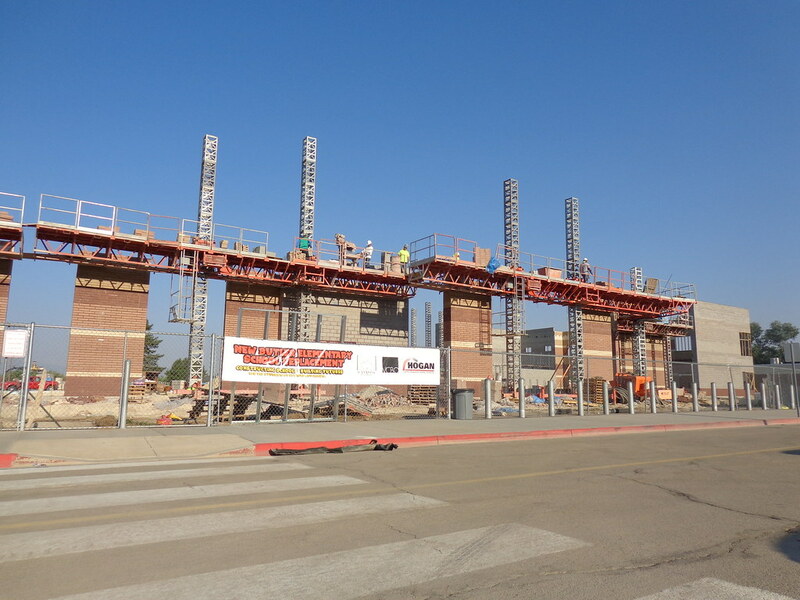 Reconstruction on the Canyons District school is well underway adjacent to the current building, with steel beams and brick-and-mortar rising to greet students for the first day of the 2015-2016 school year. In April 2015, the Board of Education hosted a community celebration and open house to break ground on the new school and convey access plans for the 2015-2016 school year. Students will attend school at the current Butler Elementary during the reconstruction. 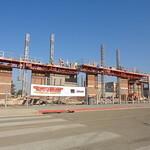 The new school is scheduled to open in fall 2016. The Butler Elementary reconstruction is financed with proceeds from the $250 million bond that Canyons School District voters approved in 2010. 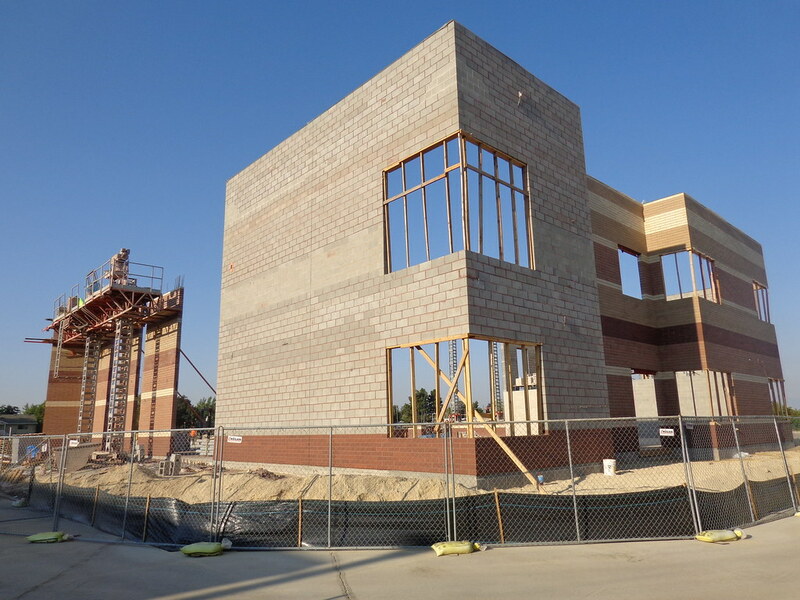 It is one in a series of districtwide bond-funded projects, including the rebuilding of Butler Middle School, completed in 2013, and upgrades at Brighton High School in Cottonwood Heights. The Mountaineers have come home. With the snip of a red ribbon twisting in the summer afternoon wind, officials at Canyons District and Mount Jordan Middle officially opened the school for business. The celebratory ribbon-cutting event, held Tuesday, Aug. 11, 2015, attracted more than 500 students, parents, teachers, staff, former students and members of the community. The crowd cheered as dignitaries and school district officials took the large, red-handled scissors and sliced through the ribbon. Then, students were able to use the scissors to cut a piece for a keepsake. The new Mount Jordan, which officially opens on Tuesday, Aug. 18 with a sixth-grade orientation, was built with money from a $250 million, tax-rate-neutral bon approved by Canyons voters in 2010. In the past six years, Canyons has been able to build, rebuild or renovate six schools, add air-conditioning to schools that did not previously have it, and construct new wings at Brighton and Hillcrest high schools. Clareen Arnold, who represents the Sandy school, thanked Mount Jordan’s teachers for the professionalism while they worked in temporary quarters since the old Mount Jordan’s demolition two years ago. Dr. Molly Hart, Principal of Mount Jordan Middle, said the building is not only a fantastic place for students to learn but a great place for employees to work. The Mount Jordan community will enjoy such amenities as an elevated running track, fitness rooms, a spacious commons area and cafeteria, a 180-seat lecture hall, and an abundance of natural light in the hallways and classrooms. The school also will be wired for the high-tech demands of a 21st century education. The Mount Jordan community also will enjoy a performing arts suite and a state-of-the-art theater and auditorium made possible by an investment from Sandy City.